The general terms and conditions of sale detailed below only govern the contractual relationship between the User (hereafter referred to as You) and the trader ORNICOM (hereafter referred to as We) belonging to the company ORNICOM. whose headquarters are situated at 2 Rue de Laplet, 5550 Alle-sur-Semois, Belgium and registered on the register of companies under the number EU VAT BE 0691 140 044. Both parties accept these conditions unreservedly. These general conditions of sale are the only conditions that apply and replace all other conditions, except in the case of ewritten exemption. By confirming your order, you unreservedly accept these general conditions of sale. These Terms and Conditions of Sale have been designed to protect your rights as a customer and to protect our rights as a business. 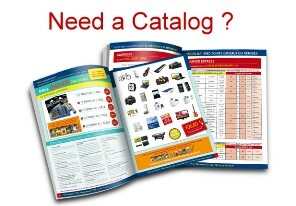 You can place an order on our website: https://www.ornicom.com (24 hours a day and 7 calendar days a week). Please note that some products' instruction manuals do not come in English. If the instruction manual does not come in English, this information will be clearly featured in the technical information sheet of the specific product. Please note that if you buy a product that does not come with an English instruction manual, you will be able to download the English manual by clicking on a link in the “Order Tracking” section of the ORNICOM website. Some products come with 2-pin plugs, for European plugs. Please note that items may be delivered with French manuals & software. Both can be downloaded for free. The prices indicated on the Site are in Euro but do not include VAT and delivery fees. Applicable delivery costs and VAT are indicated during the product selection process and are added to the price of the products at the end of the order process. Prices are subject to change at any time, but any such modification will have no impact on finalized orders; the prices indicated on the site are applied when you place an order. If an obviously incorrect price appears on our website (a price that is clearly too low, for example), and for whatever reason (IT bug, human error, technical error etc. ), your order will be cancelled, even if it has been initially accepted. Please note that we will honour your order while stock is available. If a product is not in stock, the lead time will be depending of the manufacturer delay. If there are certain products that are temporarily unavailable, if available, we will offer you a replacement for an unavailable product, a product of equal price and quality. If you choose to refuse this offer, we will refund the price you paid for the product within calendar 14 days. The products purchased on the Site will be delivered from Belgium. Your order will be delivered to the address you entered when you placed your order. ORNICOM does not deliver to PO Box addresses. ORNICOM offers several methods of delivery. Delivery time of your parcel(s) depend on the carrier you have chosen. Carrier delivery times start from the moment you receive an e-mail confirming your order has been dispatched. The delivery times listed on the site are in working days, from Monday to Friday, not including bank holidays. For example, an order received by the transporter on Tuesday with a 4 day delivery time will be delivered the following Monday. ORNICOM does everything in its power to respect the delivery times indicated on the website. If you do not receive your package within the indicated time frame, an enquiry will be carried out with the carrier and may take several days upon receipt of your claim (e.g.7 days with BPost International / UPS Standard, 7 days with UPS). During this period, no refund or re-delivery will take place. Upon receipt of your order, we recommend that you check the parcel’s contents before accepting delivery and if necessary, write any irregularities on the delivery voucher, not forgetting to sign it. Without prejudice and with respect to the applicable legal guarantees, we recommend that you address any reservations you may have pertaining to malfunctioning products on the date of delivery as quickly as possible by e-mail, by Post to the following address: ORNICOM, Customer Service Department, 2 rue de Laplet à 5550 Alle-sur-Semois, Belgium. ORNICOM has chosen to guarantee payment security by encrypting the connection when transmitting information on the network. When you see the payment sign, you will know that your payment is secure. Please note that if our security department suspects fraud, we have the right to cancel the transaction for security reasons. ORNICOM offers one method of payment depending on the product purchased: Debit and Credit cards (Visa, American Express, Maestro or MasterCard), Paypal and bank transfer. When you pay by debit/credit card, your account will be debited during your order, on the condition that we have received pre-authorization for your payment. If sufficient funds are not available, your order will not be taken into account. For payments made on-line by credit card, the "Secure Socket Layer" (SSL) is used, which allows your cards information to be encrypted when on the network. -for any order above the amount established by ORNICOM, a piece of ID as well as proof of address will be requested and should be sent via fax, Post, or e-mail. We apologie for any inconvenience this may cause; however, these measures are taken to protect our clients from possible fraud associated with bank cards. Bank transfer: Your payment will be processed when your bank transfer is received. Once your payment is received we will dispatch your goods. The processing of off-line payments may take several calendar days. You have 7 calendar days from the day your order is finalised to pay. After that, your order will be cancelled. For any returned package, please go to your account page and follow the return instructions. Please note that shipping fees are the client’s responsibility, except if the product does not conform to the description of said product (the client is responsible for any damage during the shipping of the returned goods). Please note that the workshop may need to delete data stored on your device’s memory card or hard drive in order to carry out repairs. We therefore advise you to back up important files before sending your product to our After-Sales service for repair. ORNICOM shall not be held responsible for any data loss resulting from repairs. We recommend you send every package back with the return form filled in and signed. The return can be done through the transporter of your choice. We recommend you return the merchandise via registered or monitored post and take out an insurance for the value of the products with the transporter if required. This will protect you against the loss or damage of the products. 8.2 Return due to exercise of the right to retraction: "Satisfied or Reimbursed"
You have a legal retraction delay of 14 calender days to cancel all or part of your order. This delay starts on the day your package is delivered, or the day the last package in your order was delivered if it contains several packages. You must inform us within thees 14 days to be able to exercise this right to retraction. We strongly recommend you use the Site to inform us, via your account. You can also let us know by contacting Customer Services by filling the return form; or any other way you choose. You have 14 calender days to return the product, starting from the day you let us know of your decision to exercise your right to retraction. You are liable for the cost of the product's return. ORNICOM will reimburse you for the products you return and the delivery costs, once the products or proof of their dispatch has been received. You will be reimbursed via the original payment method. Please be aware that ORNICOM might apply a discount to the reimbursement, to take into account the product's depreciation, which result from manipulations other than those to determine the nature and characteristics of the product, and whether it works. - Sealed video or audio recordings, or sealed IT software that were unsealed on delivery. In addition to legal guarantees, some products sold on the website come with a manufacturer’s warranty. Manufacturers’ warranties vary in terms of length and coverage depending on the product and brand. - damage caused by external factors such as accidents, internal or external shocks, lightning, power spikes, rust and sand. Please read the user manual supplied with your product(s) carefully for the exact terms and conditions of the manufacturer’s warranty. Should the manufacturer not honour the terms of the warranty for any of the aforementioned reasons, ORNICOM will not be held responsible. In cases where the manufacturer’s warranty is not applicable, the manufacturer will provide the customer with an estimate repair fee. If you would like your product(s) to be returned to you by the manufacturer without any repairs being carried out, administration charges may apply. Should you choose to abandon your product altogether, no additional charges will apply. You have 3 months to accept or reject the quote and pay the amount due. If we do not hear from you within this time, we will assume that you have rejected the quote and abandoned your product. No compensation will be issued. Our after-sales service will only attempt to send products to customers twice. 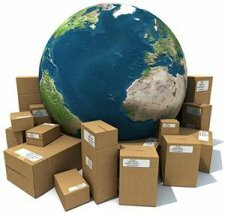 If we are unable to deliver your parcel on both occasions, (i.e. parcel refused, delivery impossible, etc.) your product will be returned to ORNICOM’s logistics centre, where you’ll be able to collect it within 3 months. After this time, we will assume that you have abandoned your product, and ORNICOM will reserve the right to destroy your item. No compensation will be issued. ORNICOM will not be held liable for poor use and its consequences on the products purchased from our Site. Although our products have performance that is compatible with professional usage. Any reviews left by ORNICOM Users are screened and moderated by the marketing team.ORNICOM reserves the right to refuse or modify comments that infringe on the law or are inappropriate (abusive publicity, defamation, insults, out of context commentary…). Since the details you give us are essential for the processing and delivery of orders, for invoicing and for the establishment of warranty contracts, failure to provide these details will result in the cancellation of your order. By registering on the Site, you agree to provide us with correct and true information as it concerns you. Communicating false information is contrary to the present General Conditions as well as the conditions of use listed on the Site. In accordance with the "Data processing and Freedoms" law. ORNICOM is authorised to extract, handle and use information that concerns you. This information is the subject of computer processing. This activity is strictly regulated. You have the permanent right to access and rectify all the information that concerns you, in accordance with European texts and national laws in place (article 34 of the law of 6 January 1978). You can at any time make a request to ORNICOM to find out what personal information they have concerning you. You may at any time, and by request, modify this information. Only ORNICOM has information regarding you. When you registered for your account you may have accepted to receive information concerning particular and occasional promotions from ORNICOM and its contractual partners. ORNICOM’s partners have been specially chosen by ORNICOM and are recognised for the quality of their products and services. Please note that when you place an order on our site, you may receive ORNICOM newsletters with offers on products similar to those you have ordered. You may at any time request not to receive any further e-mails from us by clicking on the link created for this purpose and inserted at the bottom of each page of our or our partners’ emails. We would like to remind you that cookies record certain information stored on your hard drive. This information enables us to generate statistics based on data from visitors to our site and suggest products that might interest you according to the items that you selected when you previously visited the site. Before any information is recorded, an alert message will ask you whether you would like to enable cookies, and you may refuse if you wish. Cookies do not contain any confidential information about you. All the content on the ORNICOM site (illustrations, texts, names, brand names, images and videos) is the property of ORNICOM, its co-contractors or partners. Any partial or total reproduction of this content, by any means and on any support, is subject to prior and express authorisation by ORNICOM. All information, content, files and software offered by our services is protected by Belgian and International law concerning intellectual ownership and copyright. ORNICOM cannot give you the right to copy, display or distribute content that you do not have the intellectual rights to. Fraudulent use of this content, which violates the rights held by a third party, constitutes an offence of forgery, which is severely punished under the Intellectual Property Code. ORNICOM will not, under any circumstances, be held responsible if a user violates rights held by a third party through their activities on the site.